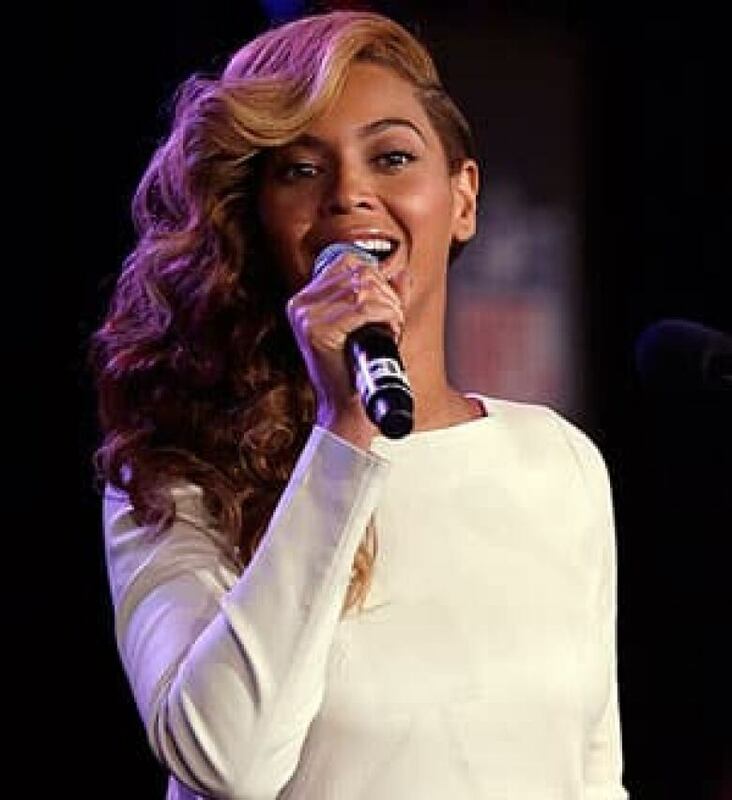 Beyoncé faced the media on Thursday, her first time speaking publicly since she was accused of lip-syncing at the U.S. presidental inauguration, and delivered an unmistakably live rendition of The Star-Spangled Banner. Entering a news conference to discuss her halftime performance at Sunday's Super Bowl in New Orleans, the singer began by asking the packed room of reporters to rise and immediately launched into the U.S. national anthem. She then quipped afterward: "Any questions?" More seriously, she clarified to reporters that her inauguration day performance was indeed sung to a pre-recorded track of her own voice and that it had been an intentional decision. "I am a perfectionist and one thing about me: I practice until my feet bleed. I did not have time to rehearse with the orchestra," she said. "Due to no proper sound check, I did not feel comfortable taking a risk. It was about the president and the inauguration, and I wanted to make him and my country proud, so I decided to sing along with my pre-recorded track." Pressed on the issue of lip-syncing, the Grammy-winner emphasized that for her Jan. 21 performance in Washington, she was indeed singing into the microphone that day. "I decided to sing along with my pre-recorded track, which is common in the industry. I am very proud of my performance." Looking ahead to Sunday's halftime show, "I will absolutely be singing live," Beyoncé said emphatically. "This is what I was born to do, what I was born for," she said, adding "I've had a 16-year career. All the things I've done have prepared me for this." The singer was coy with details about her Super Bowl set-list and any potential surprise guests (for instance her rapper husband Jay-Z or former Destiny's Child bandmates) on Sunday, which comes just ahead of the release of her upcoming HBO documentary, Life Is but a Dream. Beyoncé has teased photos and video of herself preparing for the Super Bowl, which will perhaps be the biggest audience of her career. Last year, Madonna's halftime performance was the most-watched ever, with an average of 114 million viewers. It garnered more viewers than the game itself, which was the most-watched U.S. TV event in history. Organizers also said that during the Super Bowl pre-show, Jennifer Hudson will perform America the Beautiful with the Sandy Hook Elementary Choir, while Alicia Keys will sing The Star-Spangled Banner.